The conference will focus on how to be GDPR compliant in SAP. The Keynote will be held by Volker Lehnert, who is responsible for the development of GDPR functionality in SAP S/4HANA including Information Lifecycle Management (ILM) and other tools. Lehnert is also the author of the coming book “GDPR and SAP” from SAP Press. Our other conference speakers will cover what specifically needs to be done in order to be GDPR compliant in SAP. What is the best approach for a Greenfield implementation? 15.45-16.15 Break and booths – Rearranging rooms in to one auditorium. During “Break and booths” we will share different information on GDPR and SAP. The participation fee is DKK 1.450 which include all access to the conference, conference materials and the book “GDPR and SAP” from SAP press (Value: DKK 900). The conference is for SAP customers and 2BM partners only. The conference is held together with SAP, Virtual Forge, NNIT, Implema and 2BM. 2BM GDPR Team has focused on GDPR since 2014. The mission is to be the leading GDPR in SAP consultancy in Denmark and Sweden. 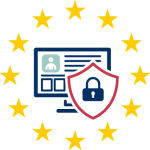 We have helped over 20 customers with GDPR in SAP ranging from small/medium to large enterprises, and we strive to help customers choose and implement the right solutions based on cost vs. risk. 2BM cooperates with SAP and PwC on GDPR.